Whether it's your own bedroom, or your children's bedroom, we all recognise the symptoms - too much bedding, nowhere to put your clothes, not enough shelves in your wardrobe, shoes kicking around all over the floor, etc, etc. With modern houses often lacking such in terms of storage cupboards, it's easy for the bedroom to become overrun, but we have a whole range of different storage options designed to help tackle the problem. If you want some basic advice on how to tidy a bedroom, we wrote an article offering ideas on ways to make the most of any storage space available to wrest back control. Neusu prides itself on its unique collection of bedroom storage solutions. All of our bedroom storage products are made uniquely for us to our own designs, so not only will you not find them anywhere else, you will see that we have been able to perfect each one so that it meets our own, and your, high standards. Whether it's a simple storage bag or a wardrobe organiser, we designed these products to be better than anything else comparable. 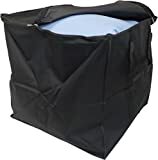 We have over a dozen different sizes and colours of heavy duty storage bags for storing away bedding and clothes from bags that fit into wardrobes to chests designed to store away multiple duvets and bedding sets. Whether it's just some out of season clothes, or several king size duvets, one of these bags will suit your purpose. From 50 Litres up, not only are they made from the damp proof 600D polyester, they all feature handles that go all the ways underneath, so you can lift the bags even when full of heavy items. 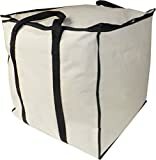 These heavy duty storage bags have won hundreds of 5-Star reviews from users on Amazon, so you can read other customers' views unfiltered before you buy. Every thought has been put into the design and manufacture of these Neusu storage bags, and as a result, not only have they found their way into thousands of homes, they have also been selected by various hotel chains, including a 5-Star spa hotel chain, for their linen storage. Often forgotten about, the space under your bed can been a real boon to those with storage problems in their bedroom. So, if you are struggling for room in the bedroom though, you may want to make use of the spare space underneath non-divan beds. Whether it is storing unused pillows or our of season or spare duvets, or if you want to store clothes or shoes, we have an underbed bag to suit your needs. All of our bags are made from the same heavy duty 600D polyester with damp proof that we use for our bedding and clothes bags, so these are robust bags. The large bag has a single handle, but to allow you to manoeuvre the large underbed storage bags we produce, our unique design has four handles on each bag to help and to spread the load so the handles don't tear. Add to that the high quality zips (with double zippers on the XL and above) and the finishing touches like the mesh pouch inside for a pot pourri sachet or anti-desiccant packet, with a label pouch on the back, and you can see that the Neusu underbed bags are true high quality. 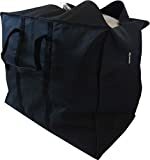 Like our other storage bags, they have been selected by various hotels as well as tens of thousands of customers on Amazon, where you can read the hundreds of 5-Star reviews. For long term storage of out of season clothes, take a look at our Heavy Duty Vacuum Storage Bags or if it's dresses or coats, then shrink them down to size with our EasyStore Hanging Vacuum Bags. However, if like many your problem is that you don't have any shelves in your wardrobe, we have a collection of hanging shelves that can help. Adding shelves like these to a wardrobe allow you to store T-Shirts, jumpers, jeans, etc that would take up far too much space if you hung each one separately. Some of our designs include side pockets to maximise the storage offered by a unit. Whether you're looking to add more storage to a half-height wardrobe (jacket length) or a full length one, we have an organiser that will suit your purpose. We produce different sizes in both Premium and Heavy Duty, and both series have great reviews from customers, which you can read for yourself before buying. Unlike other brands, our hanging organisers have their tops reinforced with MDF rather than cardboard, so they won't break when you load up the organiser. Our premium and heavy duty foldable boxes are all made from better quality material and reinforced, unlike cheaper makes, and their classic look allows them to blend into any decor. We have a range of sizes, from small boxes for make-up, etc through to Jumbo for toys and clothes. The beauty of these boxes is that when not in use, you can fold them back down and they don't take up precious room in your bedroom.